Take a look at the surroundings for a start – just stop and drink in the river, the rolling hills, the blue of the sea. This is the stuff of Enid Blyton and Rupert Bear – everything we want for our youngsters, and everything we wish we had had. Of course when the rain is pouring and the wind howling, the idyll is somewhat diminished. But there is so much to do that you will be glad you chose to spend your summer by the Dart this year. 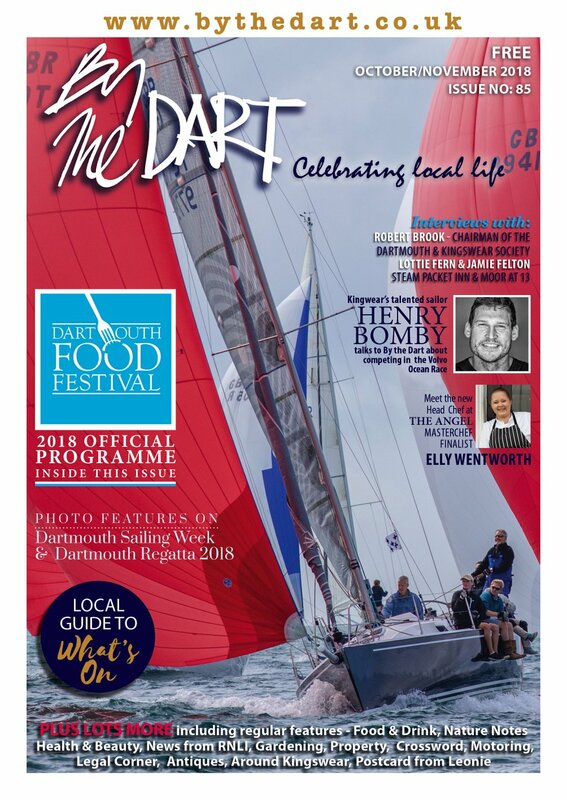 Dartmouth is packed with interesting things to see and do that will delight parties of all ages. Try the Dartmouth Museum in Duke Street. It’s housed in one of the oldest buildings in Dartmouth and with its sloping floors and panelled walls it is great fun to explore. The exhibits are fascinating and show off the dramatic past of this port, beloved of all sailors from pirates to wartime captains. Children will love the model ships from down the ages and the collections of William Henley, who never shook off that childish desire to acquire knowledge by gathering bugs, bones and bits and bobs. 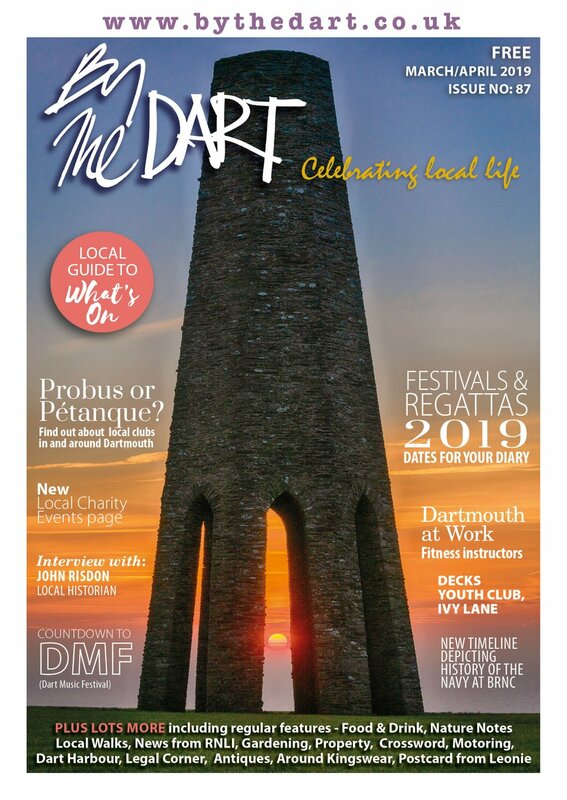 Just around the corner is The Flavel, home of the arts in Dartmouth and also the town library. This summer the library has all sorts of special (and free!) children’s activities and story times, as well as its regular favourites such as Bounce and Rhyme every Tuesday – songs and stories for under fives and their carers. The Flavel also houses Dartmouth’s cinema which will be showing a host of family favourites this summer. Depending on the time of day, adults can enjoy a glass of wine with the film too, or look out for meal deals with the Royal Castle Hotel. The Flavel also has a busy summer of visiting artists including entertainers, comedians and musicians, and will be staging a number of art exhibitions. There’s a friendly café and a programme of children’s workshops including summer theatre and comic strip sessions. Plenty of the local eateries offer a warm welcome to families. Places like Browns and Café Alf Resco have boxes of colouring books or games for youngsters, and there are a number of restaurants with special menus for younger diners. If you fancy learning more about food as a family you could go across to the Manna From Devon cooking school at Kingswear and try one of their family cookery courses. The Dart Valley is a great base from which to strike out into the Devon countryside and explore its many attractions. What better in this rural idyll than a day on the farm – and the choice is wide ranging. Try the South Devon Chilli Farm at Loddiswell for a spicy day out, or for conservation and tranquillity head to Fast Rabbit Farm Gardens in Strawberry Valley near Dartmouth, to see man and nature working in harmony. Pennywell Farm near Buckfastleigh is renowned for its friendly staff – and animals! This is very much a hands-on farm where children can get really involved with the animals, everything from mice to shire horses, piglets to cows. There are more than 150 animals to get to know, and a series of special entertainments planned for throughout the summer holidays. Occombe Farm is a 150-acre organic farm on the edge of Paignton which aims to reconnect people with food and farming. It is home to traditional breeds of farm animals, including a herd of Ruby Red Devon beef cattle and a flock of Dorset Down sheep. There are also pigs, ducks and chickens a-plenty, and the way the farm is run is fascinating, as are the nature trails through its pasture, wet meadows and woodland. Just a short trip away is Paignton Zoo – one of the most highly acclaimed zoos in the country. It has thousands of animals – gorillas, lions, giraffes, rhinos, monkeys, crocodiles, everything you’d expect from a day out at the zoo and spaciously accommodated over 80 acres. Its partner is the Living Coasts centre in Torquay where visitors can see penguins, seals, fish and seabirds. Animals come combined with adventure and adrenalin at Woodlands - 90 action packed acres near Dartmouth with 16 family rides, 10 powerful playzones, 300 animals and 100,000 sq ft of indoor fun. Drizzly days are no problem here in the UK’s biggest indoor venture centre. Children of all ages can throw off their inhibitions and have a great day out! Check out the group discount prices and special summer events – there really is something for everyone and you won’t see it all in a day. Of course great days out needn’t mean paying to go somewhere and the beach is one of the best ways to spend summer days. We are spoiled for choice here – beautiful Blackpool Sands, sweeping Slapton, charming Beesands, the sand of Salcombe, pretty South Milton, and the surf of Bantham with Burgh Island its picturesque backdrop. Head into Torbay for piers, candy floss, penny arcades and the prom prom prom, plus some lovely sandy beaches. The coastline is surely the most spectacular attraction of all and the coastal footpath is a superb way to explore hidden coves and rocky outcrops. There are dangers here of course but with care and caution a walk becomes a true adventure. Easy to imagine the pirates and smugglers of old. It wouldn’t be summer in Dartmouth without going crabbing – all you need is a bucket, crabbing line and bait (bacon is best but crabs are not fussy and will grab hold of everything from sand eels to bits of fish) and all of these items are available at shops throughout the town. Dangle your line off the harbour wall and it won’t be long before you come face to face with these clawed river scavengers. Obviously the perils of crabbing are hooks in the finger or tumbling into the river – both of which can easily be avoided by taking care at all times. This is an absorbing pursuit and best of all it’s free! Time to set the world to rights and natter to your heart’s content while your children squeal at their catches and bemoan those that let go before reaching the bucket. My bet though is that you’ll be crabbing too, determined to get the best catch. All crabs should be released back into the river – so that you can catch them all again the next day! Out on the river there is loads to do. Hire a boat and explore, head to Tuckenhay for a Canoe Adventure, try out sailing with one of the local sailing schools, take a boat trip up the river to Totnes or out to sea – endless possibilities for watery fun. 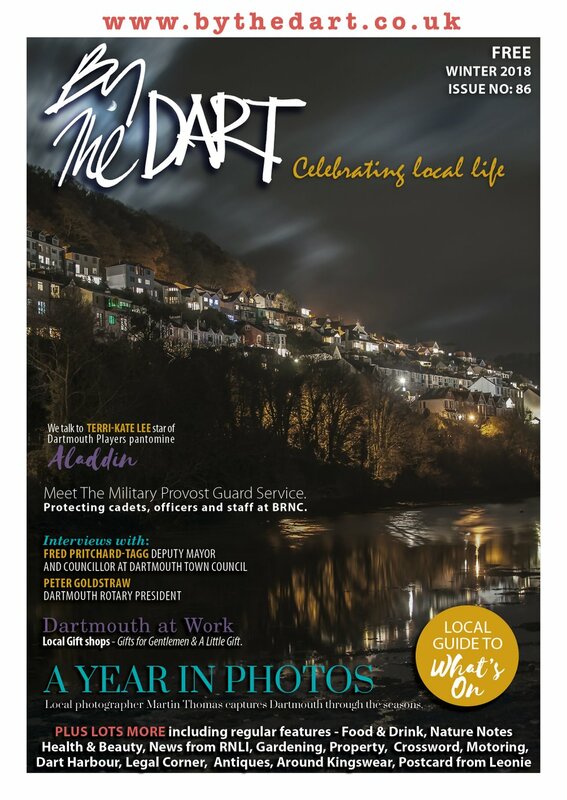 The mouth of the Dart is guarded by Dartmouth Castle, in the care of English Heritage and well worth an explore. The castle’s defensive role began in the 1300s and was active as recently as World War II. This summer there are lots of special events planned. Each Monday in August visitors can prepare for war as adults and children would have done at the outbreak of World War II, with identity cards, gas masks and ration books. Each Tuesday, learn about the different men and women who defended and attacked these shores, and find out what the war was like for those at the front and at home. Britannia Royal Naval College dominates Dartmouth and the Royal Navy has trained its officers here since 1905. A guided tour of the naval college is a fascinating experience, giving visitors a unique insight into the Royal Navy and this most historic of buildings. To tire out your youngsters, head to the Leisure Centre next to the Park and Ride where a wide range of children’s activities and summer courses are planned – everything from trampolining and football to Tiny Tumblers. The centre does not have a swimming pool but Dartmouth’s heated outdoor pool can be found in nearby Milton Lane. With so much to do here why would anyone go anywhere else!